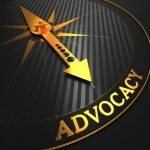 The growth of the patient advocate movement in opioid treatment programs (OTPs) is a benefit for patients and for management. Patient advocates will be the leaders of the peer specialists who will provide essential support for patients. Two well-known patient advocates are Zac Talbott, MSW, CMA, who just opened his own OTP, Counseling Solutions of Chatsworth in Chatsworth, Georgia, and Walter Ginter, CMA, project director at Medication-Assisted Recovery Services (MARS), based in the Bronx, N.Y, with satellites across the U.S. Both are “professional” advocates, highly trained and skilled in setting parameters for methadone-patient advocacy. Many other patients are not famous in the OTP world, but are successfully engaged in their own lives. We talked with one of them for this story, and with the federal mentor of the entire OTP patient-advocate and peer-specialist movement. Some OTPs have hired patient advocates to help advocate for other patients, especially new patients just coming into the clinic, said Wilma Townsend, MSW, who is with the Center for Substance Abuse Treatment of the Substance Abuse and Mental Health Services Administration (SAMHSA). Ms. Townsend is revered by the OTP community for her respect for patients. At a workshop during the most recent annual meeting of the American Association for the Treatment of Opioid Addiction (AATOD), a patient advocate, Erika Helmerichs, gave a presentation on her work. We spoke with Ms. Helmerichs, who talked about the advocacy group she leads at CRC Health Belmont (owned by Acadia), an OTP in Portland, Oregon. Ms. Helmerichs organized the group three years ago. Orientation meetings are attended by the clinic director, the clinical supervisor, Ms. Helmerichs, and, usually, new patients. Once patients come to the group three times they are “voted in,” she said, and in turn become patient advocates. Group meetings are not times to bring up a personal complaint, such as a dispute over a drug-test result. However, they are appropriate for general complaints. Ms. Helmerichs, who has a bachelor’s degree in journalism, also took over the OTP’s quarterly newsletter. In addition, she organizes monthly food drives and patient appreciation days. The point is not to be a go-between, functioning between management and the patients. It’s to help the patients, period. The OTP management sets up the policies and procedures for the patient advocate’s role. But those strategies have to empower the advocate to truly be helpful to patients. “Too many times a program will say, ‘Let’s hire an advocate,’ but then say, ‘You can’t do this and you can’t do that. It takes away their role as a patient advocate,” said Ms. Townsend. Peer recovery specialists working in an OTP get their guidance from the patient advocate. Many OTPs want peer-recovery coaches to be involved, because, unlike most counselors, physicians, and nurses, they have been through the process of addiction, treatment, and recovery themselves. “It’s one thing for someone to tell you something clinically, and another for a peer to tell you the real deal in their own language,” said Ms. Townsend. However, one barrier to OTPs’ hiring peer-recovery coaches is cost. In 2007, Medicaid gave states the right to use Medicaid to pay for peer specialists in OTPs if the state put it in a waiver, said Ms. Townsend. But states went for payments for mental health peers only, not for substance-use peers, because they didn’t know they could use Medicaid for substance use. “The state may have had the right to hire them, but they didn’t know it,” she said. “Or states never even put it in the waiver.” It was a case of mental health patients having more clout than substance-use disorder patients. Last September SAMHSA brought in some people to talk about this issue, Ms.Townsend said. Included were a group of recovery community organizations run by peers, some OTP directors, and a Medicaid official. “By the end of February, we hope to release a paper on the benefits and challenges” of getting recovery peers in OTPs paid for by Medicaid. Included in the paper will be guidance in what states and OTPs need to do to get the money to pay for a peer recovery coach, she said. There will be a “Dear Colleague” letter to let OTPs know about the paper. For states that didn’t expand Medicaid, or don’t already have the substance-use peer specialist in their Medicaid waiver, getting paid for the peer will be more difficult, of course. The non-expansion states will need to find out from their state Medicaid office whether the state even supports peer specialists.